Our friend Tom gave us 20 pounds of Asian pears last week. When life gives you Asian pears make sauce. Everything else in the menu this week revolves around the pears and sauce. A pluot is a cross between hybrid of a plum and an apricot. They have a smooth skin and firm flesh. The pit is fairly small. There were some nice ones at the grocery store, I remembered this recipe from the “try it sometime” pile and this was the result. 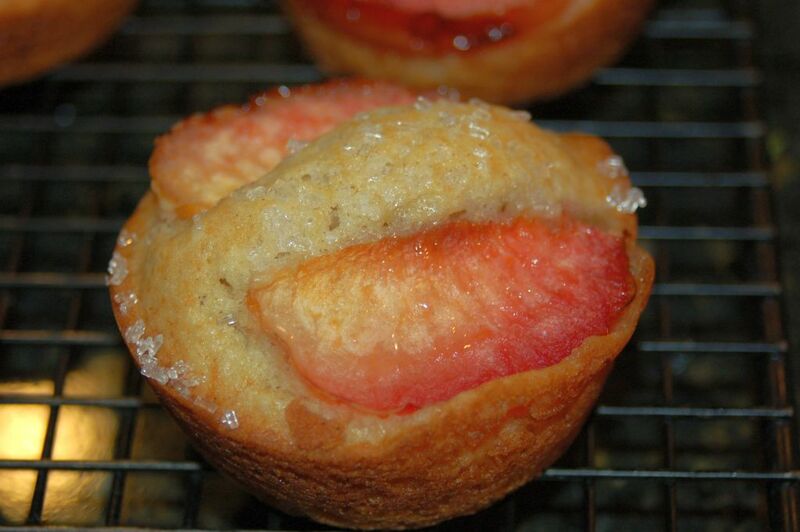 These are cooked in a muffin or cupcake pan resulting in nice individual cakes. The inspiration for this menu is leftover corn tortillas. Leftover corn tortillas leads to cheese enchiladas. We had rice last week so I didn’t want to repeat it this week. A big green salad though is lovely this time of year with so much local produce to enjoy. Dessert is our traditional gift to the (almost) birthday girl. Green Salad with radishes, quick pickled shallots and assorted tomatoes with vinaigrette. Pan-fried turkey “chops” takes about 10 minutes total from pulling the chops from the fridge to ready-to-eat. 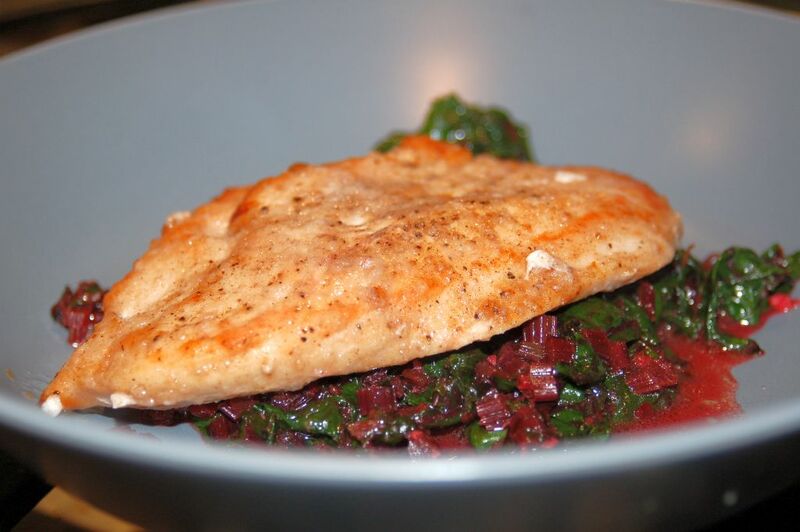 It took longer to prep and cook the beets greens you see in the picture below. Give this a try sometime, it beats boneless skinless chicken breast. Looks like I neglected to post the menu from our Saturday night gathering last week.